The thrilling conclusion to Max Brand’s Rusty Sabin trilogy. Born to white parents, Rusty Sabin was taken prisoner and raised by the Cheyennes in Sacred Valley. The Cheyennes know him now as Red Hawk, an admired leader and great warrior. Sabin falls in love with Maisry Lester, a young frontierswoman, and decides to desert the Cheyennes to pursue a different kind of life, but fate soon intervenes. Sabin finds two bags of gold in a Sacred Valley creek and decides to leave one with the Cheyennes and give one to Maisry. When a local frontiersman decides to try and pilfer the sack that Sabin designated for the Cheyennes, Maisry’s father is killed in the crossfire. Standing Bull, a Cheyenne leader, is wrongfully blamed for the murder, and Sabin finds himself in the middle of a frontiersmen-Indian conflict. He’ll have to figure out where exactly his loyalty lies and how to resolve a conflict threatening to erupt in bloodshed. 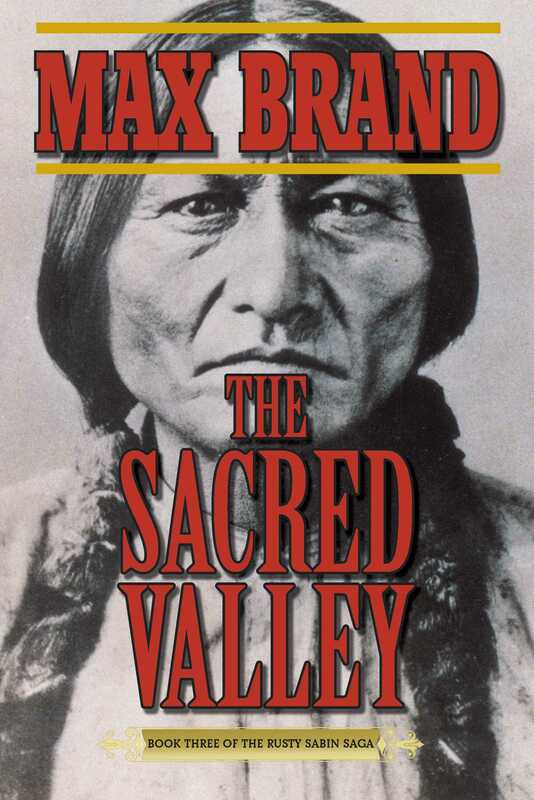 First serialized in 1935, The Sacred Valleythe final installment of the Rusty Sabin trilogycemented Max Brand’s reputation as one of the most exciting and talented writers working in the Western genre. To this day, Rusty Sabin remains an indelible American character, caught between two worlds and simply trying to do the right thing.